It just keeps getting bigger and bigger and faster and faster!!!! Ever since news broke last week that many of the best distance runners in the state were flocking to Holmdel to clash in an epic 3,200-meter race at the Twilight meet on May 3, more and more studs from around the state have contacted Meet Director Damon Godfrey to grab a spot on the star-studded starting line. Godfrey said the most recent additions include New Balance National one-mile champion Sean Dolan of Hopewell Valley, and Alexa Westley of Warren Hills, the two-time outdoor Meet of Champions 3,200 winner!!! The boys race is just plain off the hook!! There will be lots of sub 9:30 guys in the unseeded heat. Godfrey said entries are now closed for the meet, which NJ MileSplit will be on-site to record. John McGovern of Somerville-has a 3,200 PR of 9:28.44, ran 16:01 to place 7th at the XC M of C and qualified for Nike XC Nationals by placing 4th in the NE Regional. Connor Nisbet of Wilmington Friends - the Princeton University bound star has a 3,200 PR of 9:00.75 and has run 4:12.21 for 1,600. A FL XC finalist this past December, Nisbet is chasing the Delaware state record of 9:00.61, set in 2012 by Sam Parsons of Tatnall at the Arcadia Invite. 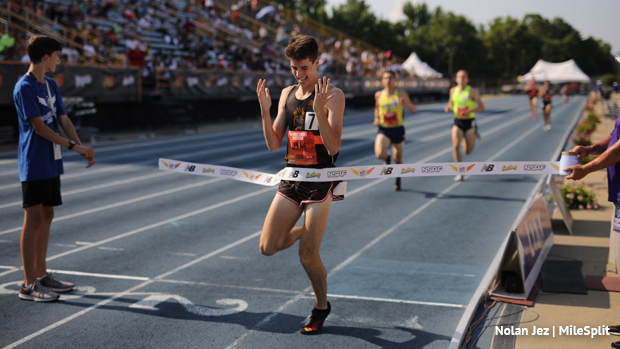 McInerney, who is headed to Georgetown, has a 3,200 PR of 9:20.91, ran 4:10.37 when he was second at the Meet of Champions last June, and has won multiple state Non-Public A titles. Alexa Westley-the Wisconsin-bound star has a 3,200 PR of 10:30.06, won the last two M of C outdoor titles in the 3,200, and won the Nike Northeast Regional XC title last fall. Like I've said before, if you really are a true fan of NJ track and field, you won't miss this meet! GET UR HOLMDEL TWILIGHT ON!!!! GET UR 3,200 PR'S ON!!! GET UR NJ TRACK AND FIELD ON!!! GET UR MAY 3RD ON!!!! !